Om Enterprises supply best in quality Polyester wadding to its prestigious clients in India and outside India.We have a wide array of assembly of the polyester wadding or polyfill for our customers. 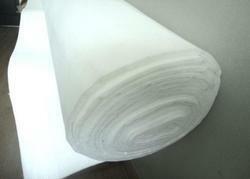 We welcome suggestions from our customers and provide polyfill on customised basis as well. Om Enterprises provides Chemical Bonded Polyester Fabrics like Chemical Bonded PolyFill is used in garments and home-furnishing products to protect the shell fabric of the product, to enhance its aesthetic appeal, insulation and to provide comfort. It is produced through impregnation with chemical binders. 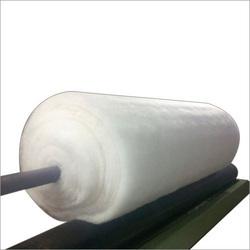 Om Enterprises being a client-conscious organization is sincerely engaged in delivering a commendable collection of Polyester Wadding Rolls. The mentioned products are quality verified on different quality parameters and is certified as per the market norms.The items are available in various colours and designs and highly demanded in the market. These items can be bought by our customers in variety of sizes and quantity. 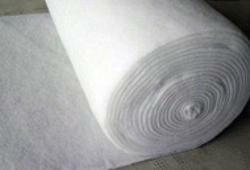 Om Enterprises specializes in providing our prestigious clients with a quality array of Thermal Bonded Polyfill. It is manufactured using supreme grade raw material and advanced technology in obedience with the latest market standards. In addition to this, Om Enterprises offer this product in diverse personalized options, as per the client’s necessities. Clients can avail the entire array from us at market leading prices. We offer clients a wide range of non woven polyester wadding fabric & polyester staple fabric which is manufactured adhering to stringent quality measures to ensure that the material offered by us is of optimum quality. Our range of polyester wadding fabric is highly acclaimed for their ultimate strength, durability and high tear strength. 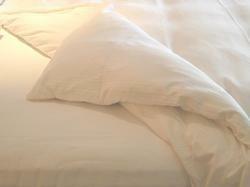 Looking for Polyester Wadding ?